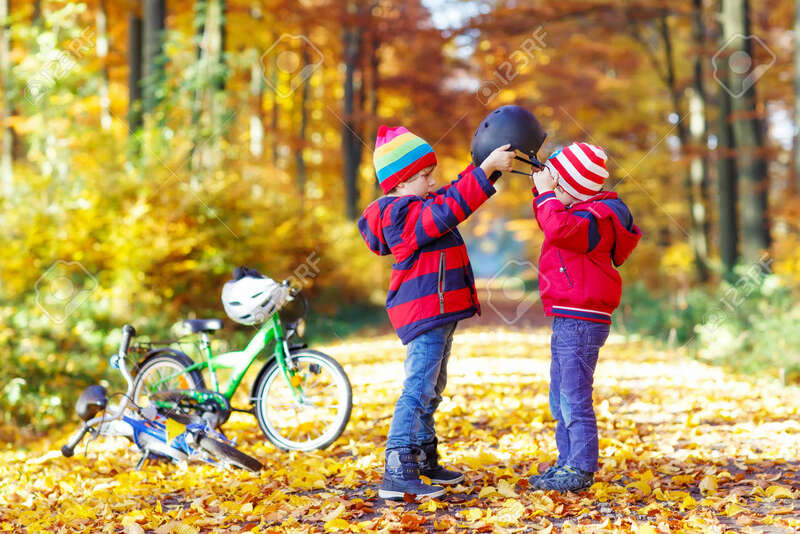 Two Little Kids Boys, Best Friends In Autumn Forest. Older Brother Helping Younger Child To Put His Bike Helmet. Happy Siblings With Bicycles. Royalty Free Fotografie A Reklamní Fotografie. Image 48305785. Reklamní fotografie - Two little kids boys, best friends in autumn forest. Older brother helping younger child to put his bike helmet. Happy siblings with bicycles. Two little kids boys, best friends in autumn forest. Older brother helping younger child to put his bike helmet. Happy siblings with bicycles.